Kids will be blown away by the Frozen Bluetooth Flashing Light Karaoke kit. 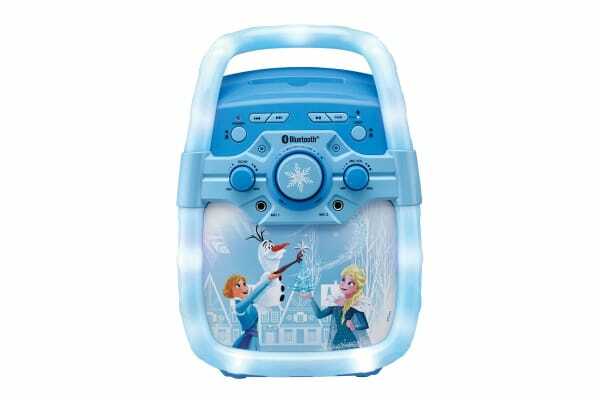 Sing along to any tune with the Frozen Bluetooth Flashing Light Karaoke unit. Bring the soul and fun times to the living room. With the adorable Frozen design and flashing lights, the kids won’t stop smiling!